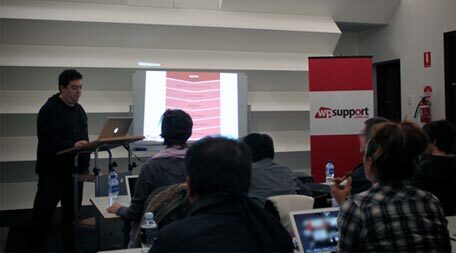 Chris Burgess will host a four week WordPress training course on how to create your very own WordPress powered website, every Tuesday from 10 February to 3 March at the Footscray Community Arts Centre. The training sessions will be limited to a small group, offering you the chance to take advantage of this personalised, (almost) one-on-one learning opportunity. While these sessions will be suitable for beginners, basic computer literacy is a pre-requisite. 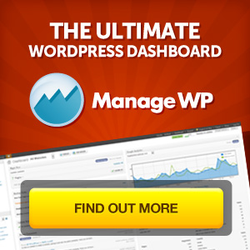 We thought we’d give everyone a quick update on our recent free WordPress training sessions. After the feedback we received from our post workshop survey that was sent to previous attendees, we thought we’d try something different and hold both beginner workshops and more intermediate level workshops targeted at people already using WordPress. So far the feedback we’ve received shows we’re on the right track. We’re already planning on holding some niche workshops in the coming months. 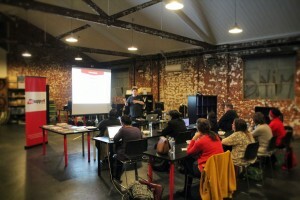 We still have a few spots left at the following July sessions in Melbourne. To register for the Beginner 101 WordPress training workshops click here. To register for the Intermediate WordPress training workshops click here. Thanks again to Electron Workshop who have kindly offered to sponsor the venue. We will be holding more workshops very soon, so if you haven’t already, make sure you’ve signed up to the email list and are following us on Twitter or Facebook. 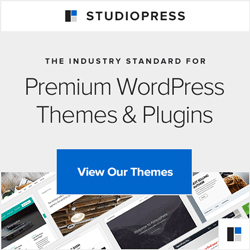 In the mean time, if you want some great tips and tricks on using WordPress, please check out the Tips & Tricks section of the website. If you have any other tips or local Australian WordPress news you’d like to share, please submit them via our contact form. A huge thanks to all the people behind the scenes, you know who you are.